Suppose that 90% of people are right handed. 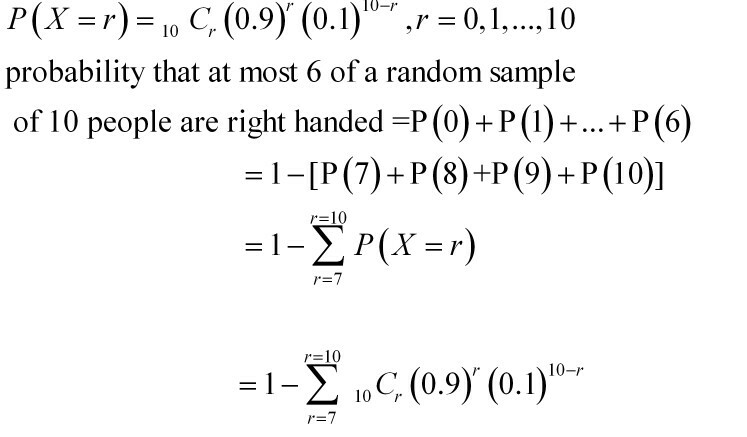 What is the probability that at most 6 of a random sample of 10 people are right handed? 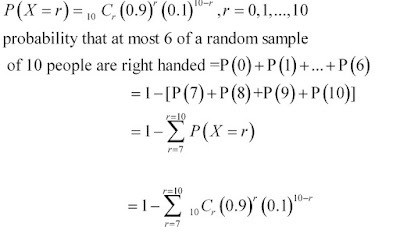 Let X be the number of people who are right handed out of a sample of 10 people.